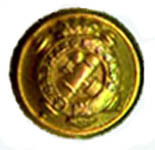 The design of the Civil War period ordnance officers' button was adopted in 1851. Pre-1851 variations are occasionally recovered from Civil War sites. The backmark on the original button is "Waterbury Button Co."